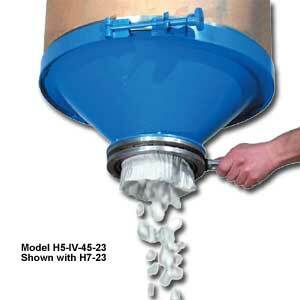 Reduce dust when discharging dry material. Easy replacement of the drum lid. * Size #23 fits 55 gal. steel drums & 23" I.D. fiber drums.